Calgary, AB, February 4, 2019 – Three members of the Teamsters Canada Rail Conference (TCRC) have died as a result of a major Canadian Pacific (CP) train derailment. The accident occurred at approximately 1 a.m. Mountain Time between Field, BC and Calgary, AB. 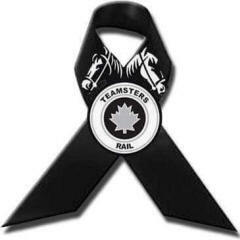 Teamsters represent close to 125,000 workers across Canada, including over 16,000 workers in the rail industry. The International Brotherhood of Teamsters, with which Teamsters Canada is affiliated, has 1.4 million members in North America.